Click on the Play Button and 'OK K.O.! 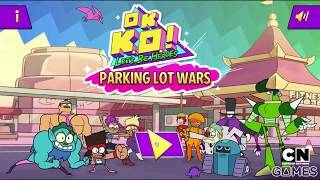 Let's Be Heroes: Parking Lot Wars' will start after this message... Thanks for waiting!